​What is a class? Simply put, a class is an easy way to group similar variables and (user defined) functions together and then apply them to something called an “object”. One object (e.g. football team) will be an instance of our class and have access to all the attributes within that class. A second object (e.g. a different football team) will be a separate instance of a our class and have access to all the same attributes within that class as our first football team did. 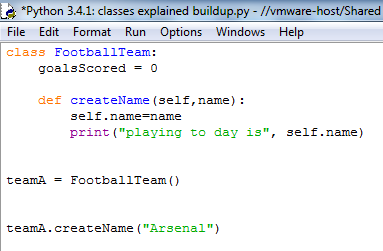 Although both teams use the attributes in the class (e.g. 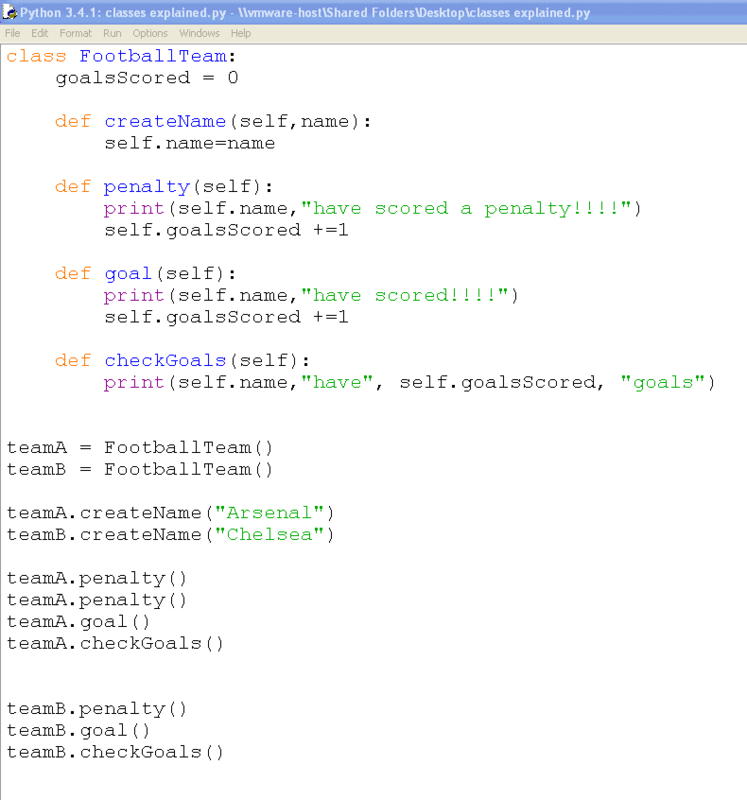 score goals or score penalties) we like Python because holds each of the football team’s data entirely separately.